I’d almost forgotten just how beautiful Wachesaw Plantation is… it’s breath taking. It’s one of Myrtle Beaches hidden gems for weddings. The Wachesaw Plantation with it’s huge Live Oak trees that drape shade for visitors, with Kimbel’s Restaurant sitting quietly to the side ready to host an event. The scent of the Waccamaw River plays at your nose as the moss dances in the wind. I’ve known the groom, Scott, for quite some time now. I was thrilled and eager to tease him that I’d seen his bride all dressed up before him. We shot her bridal portraits earlier this summer and with her permission created an image that had to be timed perfectly. Arriving right before low tide when the sand bars were showing, we scooted down the river bank to photograph Kelly at the water’s edge. It was a stunning portrait right beside the river, framed with Cypress tree knots and roots that would normally be underwater. Setting up the canvas portrait on their wedding day, I made a few people promise me they wouldn’t let him peek at the framed art piece. He desired all the emotions of the first look and she was breath taking too. As she walked across the lawn in the classic and form fitting dress from Little White Dress Scott choked up as he saw his wife. The ceremony was lovely and picturesque set beneath the spanish moss of the live oaks and we were all thankful for the light breeze on a warm summers day as they exchanged their vows and rings. Their marriage was celebrated with a symbolic kiss, then it was time to switch gears. Though lovey-dovey was in the air, our couple was ready to boogie! Scott and Kelly couldn’t wait to finish with traditional wedding portraits. Entering the reception banquet, everyone knew what time it was and everyone intended to dance until their hearts were content. Little Harper, Scott’s 5 year old daughter ran around, smiling, and dancing with Scott and Kelly all evening. With the reception ending at 11:00, I laughed as everyone piled in cars. They were heading down to Murrells Inlet to continue the festivities and good times. There is a beauty in the surrender this couple gifts each other. I know Scott will always hold his wife by his heart, under his arm, and with gentle hands. Kelly will always do likewise. Congrats guys, completely love your calm and crazy and all its charm! So it starts, lovers are engaged, family are planning the day, and you are romanticizing about new amazing adventures made for two. But what does it really take to plan a successful wedding? 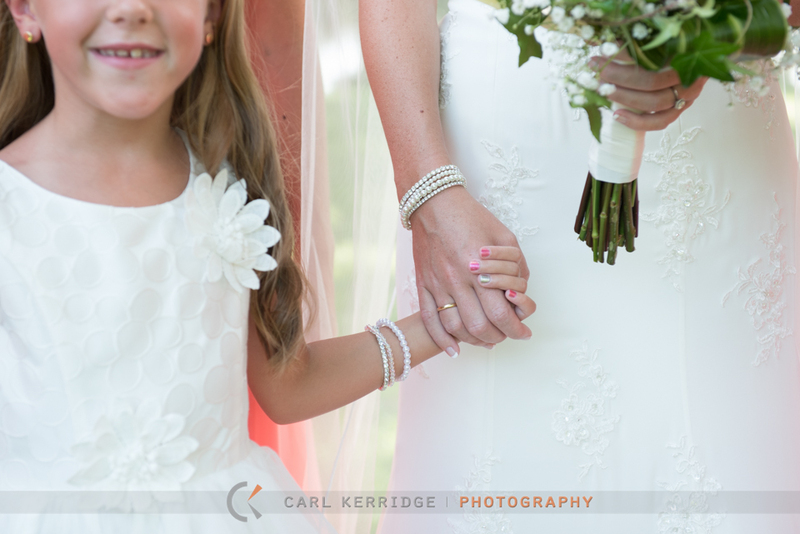 We here, at Carl Kerridge Photography, are starting a series of basic tips and information to help plan and answer questions on how to have a successful wedding! No, we don’t have all the answers, but we’re willing to help jump start your research, encourage your uniqueness, and provide entertainment along the way. To kick off our collection, we got in touch with some of our lovely brides from the past wedding season and interviewed them for their confessions leading up to a successful wedding day and the aftermath. We did this for fun so if you just recently got engaged, have been engaged, or thinking about your future wedding, we wish you the biggest of congratulations and invite you to check out the interview below!! Does spending time with each other’s family add more value to the marriage? How long should the “wait” period be after the engagement? What shaped your opinion of this? How did you know you were ready to get married? How did you get everything planned just the way you wanted it? How did you handle anything that stressed you out? How did you determine your guest list, vendors, and location? Does the relationship actually change after you get married? How is it different in general? Do you get to a point where you stop discovering things about each other and it gets boring? Being with someone forever you’re bound to have arguments, how do you learn to not hold a grudge? You’re two separate people, how do you learn to balance your likes with your partners so neither of you have to give up on your personal interest? If you had to do it all over again, would you do anything differently? Why or why not? Pop quiz! You have this best friend who you adore and she changes her mind about everything when it comes to her jewelry. Her partner just came to get advice from you about the ring, he’s going to propose in the next few days. You know this needs to be perfect for her, so how would you help the groom-to-be pick out the most meaningful ring? If there’s more you would like to know about having a successful wedding or other info you want us to research and include in future sections of this series, drop a comment below! An Epic Wedding: Beach, bubbles and Daddies’ hot red mustang! I remember when I walked up to the bride’s room for pre-wedding photos, Sarah met me in her dad’s shirt. I should have known then that he was going to be the main character of the day. Hilariously, the bride and groom were getting dressed in the room next to each other but made it very clear that they were not to see each other. Before sneaking out of the hotel, we made sure to hide the groom in the bathroom. Well, maybe we didn’t get to that extreme, but we were making sure to keep him well away from the windows as we headed ocean front at the Myrtle Beach Hampton Inn for the bridal portraits. Painting the setting for the ceremony? A hard wood compass pointed the bride and groom towards their next heading. As guests strolled in they left their thumb prints in the family tree book, and they exited with a bubble walk to the bride’s father’s cherry red mustang. With a giddy looking smile the Father of the Bride pulled away with an extremely thirsty couple in the back…and it was paramount for Dad to stop at the next gas station for Mountain Dew and Diet Pepsi. Having been a wedding photographer for 15 years in the Myrtle Beach area, I knew the reception extravaganzas were going to be tailored to my style of wedding photojournalism. Myrtlewood danced with lights and festivities for this romance on the river. However this day celebrated more and more the longer I stayed. I found out that the couple was sharing their special day with the bride’s cousin. It was his 21st birthday and the Father of the Bride took full advantage. He encouraged everyone to party like crazy, handed the cousin take his first shot of Tequila and was the poster child for promoting mischief. It was awesome to spectate! How could we forget the element of surprise, the stunning view, your husband borrowing one of your bridal accessories, the MJ dance moves or all the laughter! I mean we had an epic cake smash – a bold move, he got her first. Scroll down for the favorite photo of the day that captured the love and playfulness between husband and wife.